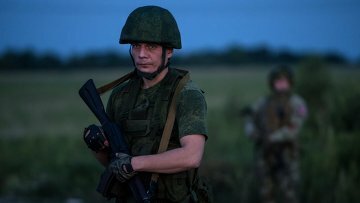 The militia does not redeploy any military hardware at the Donbass contact line, according to Donetsk People’s Republic Deputy Defense Minister Eduard Basurin. Earlier Kiev junta’s administration official representative on questions of the punitive operation in Donbass Andrey Lysenko has stated that the militia supposedly redeploys military hardware at the Donbass contact line. This entry was posted in News from Ukraine and tagged DPR, Ukraine. Bookmark the permalink.